We come to you for any service that you may need. While we are located in Maryland and primarily service Maryland, DC, and Virginia, we do travel so just tell us where you’d like us and we can make it happen. To book your services contact us with the service you would like, your location, and your ideal times and we will get to work on getting you scheduled! Weddings have easily become a fast favorite! 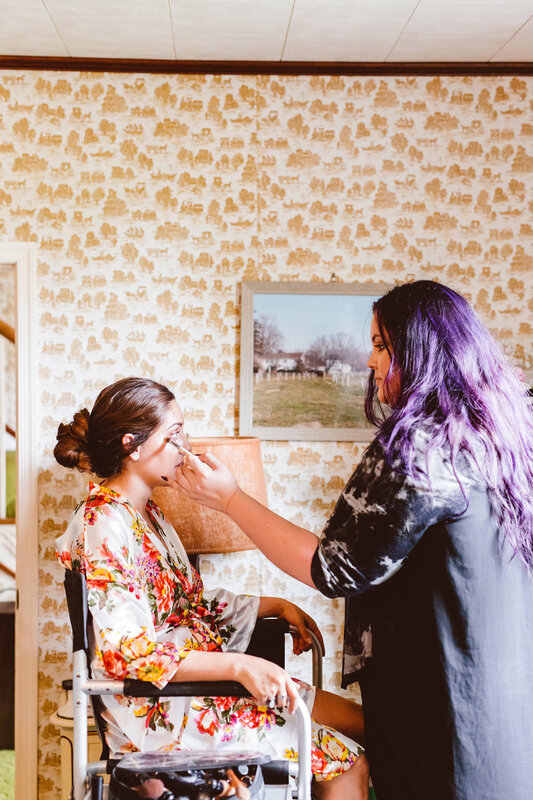 Enjoy a morning of tranquil pampering in the comfort of your own home, hotel room, or venue as we provide on-location makeup services for you and everyone in your bridal party! We will create a very luxurious experience for you and your bridal party on your most special day! Sit back, relax, and let's get gorgeous! Need your makeup done flawlessly for an important event or a special night out? 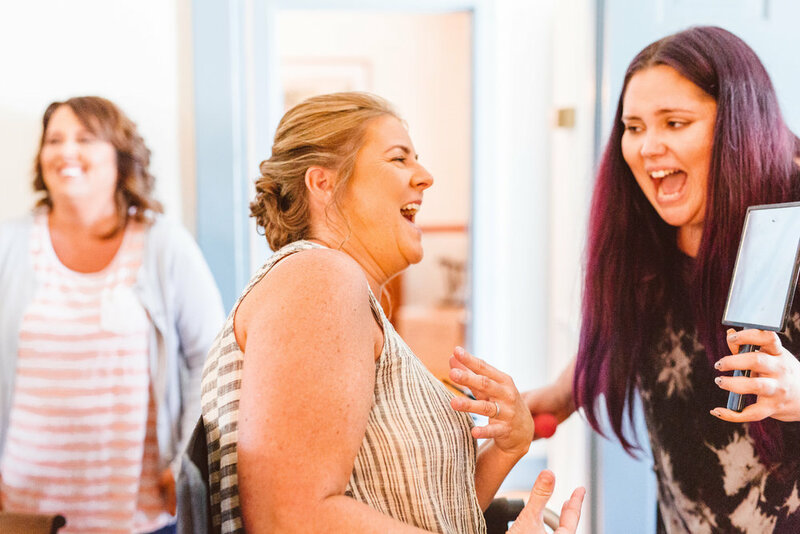 These full face makeup applications can be scheduled to look and feel your best for all the moments in life worth celebrating. Are you a makeup fanatic looking to advance your skills or an everyday babe who would like to learn the basics? This one on one lesson is a targeted and intimate educational session held in the comfort of your own home where you will learn what colors, skin care products & makeup products work best for you or how to refine your current makeup routine into a more professional practice! This is the perfect way to put your beauty questions at ease! If you are unsure about your desired beauty look or think you may want to try out different styles of makeup before you say "I do! ", this is a great way to explore those options. We will work with you until we have created your ultimate bridal glam! Let's get you ready before you step in front of the camera! We will create a flawless look that will feel great in person and translate perfectly behind the lens as well. We are expertly trained in high-definition makeup that is perfectly suitable for photography and film. This is the ULTIMATE education series to share with your friends! Whether it's a Girls' Night In or a Beauty Brunch, we can open a bottle of bubbly or two and learn a fool-proof glam! 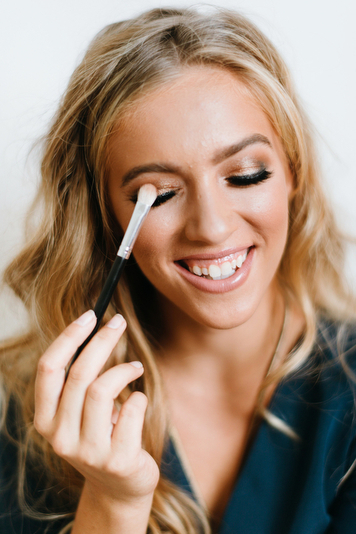 We take you step by step through a day-to-night makeup look in a seminar style session where you and your closest friends can learn some tricks and tips!